Lawyers for the estate of Steely Dan's Walter Becker are disputing claims in a lawsuit brought by bandmate Donald Fagen. 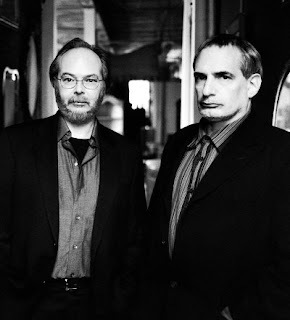 Last week, Fagen initiated a suit to reinforce his belief that a 1972 agreement between the then members of Steely Dan was still in force. In that agreement, the band members agreed to split ownership in the band equally and, when a member left or died, their share would be split equally among the remaining people. Using that as the basis for his claim, Fagen said that, as the last member of that lineup, he would have 100% ownership. Becker's wife had asserted that she owned 50% of the name as Walter's widow. A representative of Becker's estate told Rolling Stone "We believe the agreement to which Mr. Fagen refers in his suit — drafted 45 years ago — was not in effect at the time of Walter's death. Mr. Fagen's lawsuit, riddled with half-truths and omissions, misleadingly fails to state that the day after Walter died, Mr. Fagen had his lawyer send a demand letter to Walter's estate, thus beginning a legal campaign against Walter's family immediately after his death." According to the rep, an agreement on the situation was almost reached twice only to have Fagen fire his lawyers at the time and restart the process. Fagen is now on his third team of litigators.